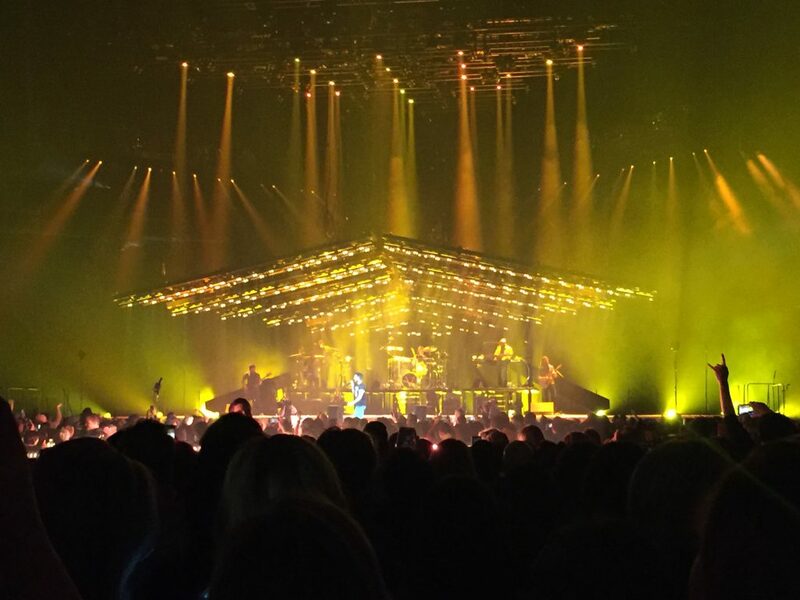 Major concerts usually take place in Toronto, but Maroon 5 decided to make a stop in Hamilton instead. R-City was the first of two opening acts, and they did a good job of pumping up the crowd. However, their lighting was blinding the audience every few seconds. Next up was Tinashe, whose performance was sub-par and inappropriate. The original opening acts had Tove Lo listed, and that would have been a much better act than Tinashe. Tinashe came out on stage with backup dancers, who proceeded to spend many songs doing chair dancing that was hypersexualized in a setting that was promoted to be family-friendly. Many of her songs were also slow and sad, so she took the audience from being pumped up to feeling indifferent very quickly. I remember being in the line to get in, commenting on how many children there were who looked younger than six. We even saw two little girls bringing their dolls in with them to see Maroon 5. Seeing this, and the excitement that was in the air at the start of the show, I was disappointed because: (1) the order of the opening acts was not conducive to a fun time for everyone, and (2) Tove Lo would have been such a great act in line with the sound and style of Maroon 5. Then it happened, slowly but surely, Adam Levine’s voice took over the arena and everyone lost their minds. One of the best parts of the show was when Levine and guitarist James Valentine moved to a second stage in the middle of the audience, and sang an acoustic version of She Will Be Loved. 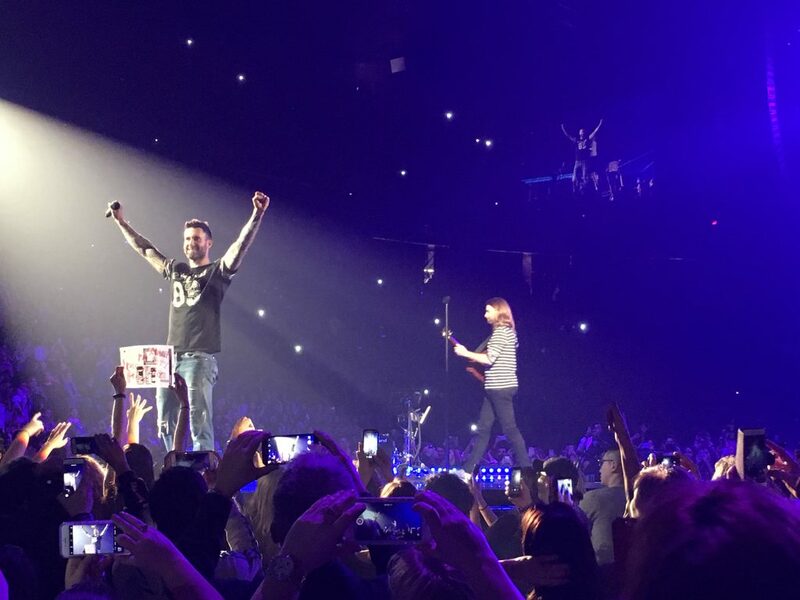 Levine paused to comment on the fact that he and Valentine wrote the song over 16 years ago, and people all over the world can still sing along to it — the markings of a great song. He also mentioned that most of the audience was younger than the song. Maroon 5 also paid tribute to fans in the audience who have been supportive since the start by playing their first ever single, Harder to Breathe. With great lighting and set designs, both opening acts could learn a thing or two from the musical veterans. The sold-out show was a fantastic experience, especially since this was the first time I had floor seats to a show. The tickets were affordable and the merchandise was as well, compared to other shows that I have been to. If you have not yet, I would highly recommend seeing Maroon 5 live.